PHYSICAL DIFFICULTY: Good fitness level required as a climb is part of the workshop. Arrival to Queen Alia International Airport. All participants must arrive early morning on the 2nd of November as we will have a long drive to Petra (2.5 hours away from the airport) After the arrival of all participants, we will move straight from the airport to our hotel in Petra. Upon arrival, we will have an introduction session about our itinerary & about photography. 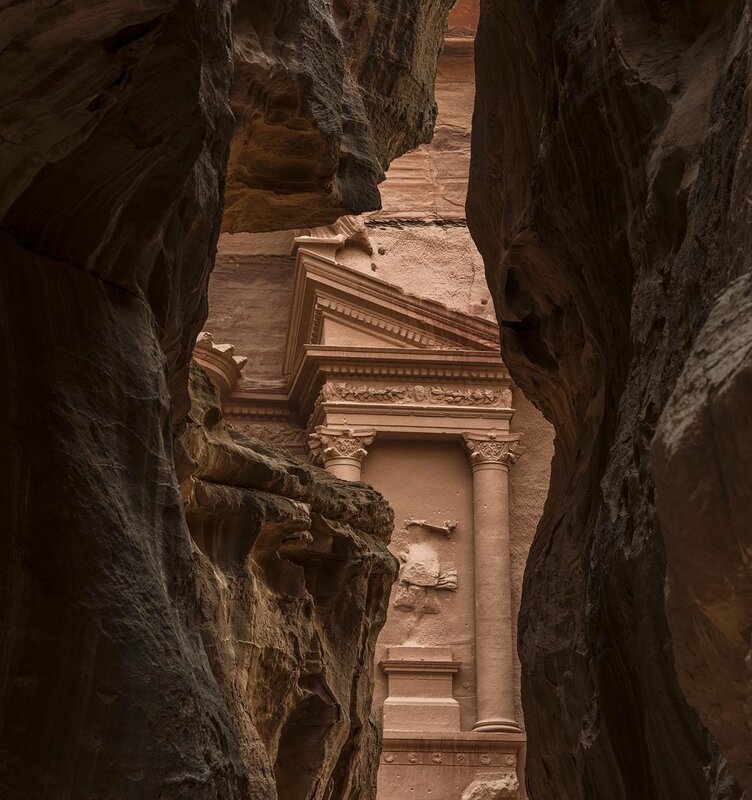 In the afternoon, we will move to shoot the canyon & Petra the treasury at night. Overnight at the hotel in Petra. 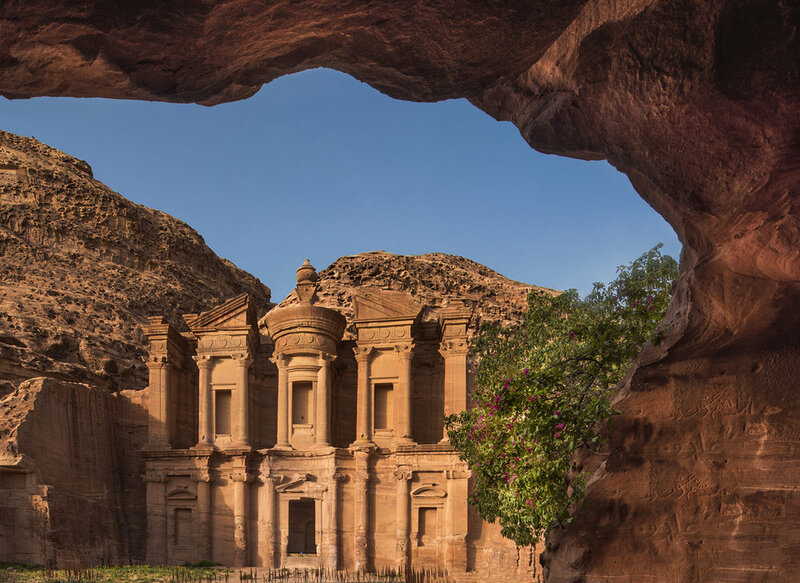 During the sunrise, we will be shooting Petra.After breakfast, we will check out & spend some time in the Petra city until lunch time. After lunch, we will move to our private camp in Little Petra. We will move to Wadi Rum. Camping in the desert will have the opportunity to experience the beauty of the skies away from the city pollution & of course, do some Astro & night photography. Wadi Rum offers us a unique desert, outstanding light & as a result a beautiful composition. For 2 days, we will be shooting the sunset, night photography & sunrise in different spots at Wadi Rum. During our stay, we will camp at Wadi Rum we will be off-roading using 4x4 cars. Moving early morning from Wadi Rum to the Dead Sea. Check in at the hotel. Shooting the sunset at the Dead Sea lakes. Going back to hotel dinner & overnight. At Sunrise, we will move to Mujeeb Valley & River. We will be going into the waterfalls & the canyon of the valley for an extreme adventure. Moving back to the Dead Sea. Time for relaxation. Overnight at the hotel at the Dead Sea. Transfer to Queen Aliya airport. 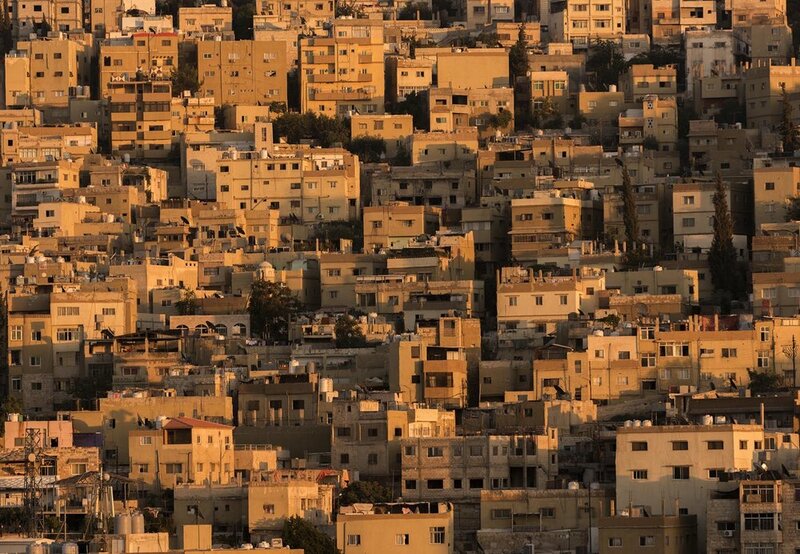 please just let us know and we can help you arrange your trip if you want to spend more days in Jordan.